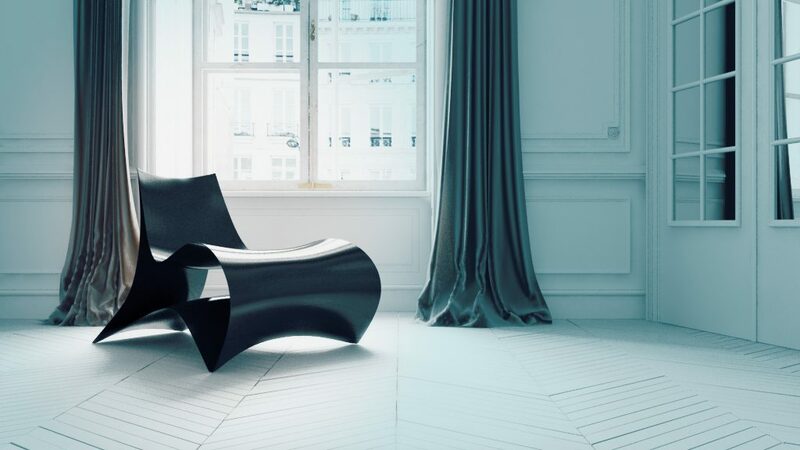 The ONA chair design explores aesthetic and structural solutions by testing the boundaries of Carbon fiber, a material highly valued for its strength, lightness and durability. 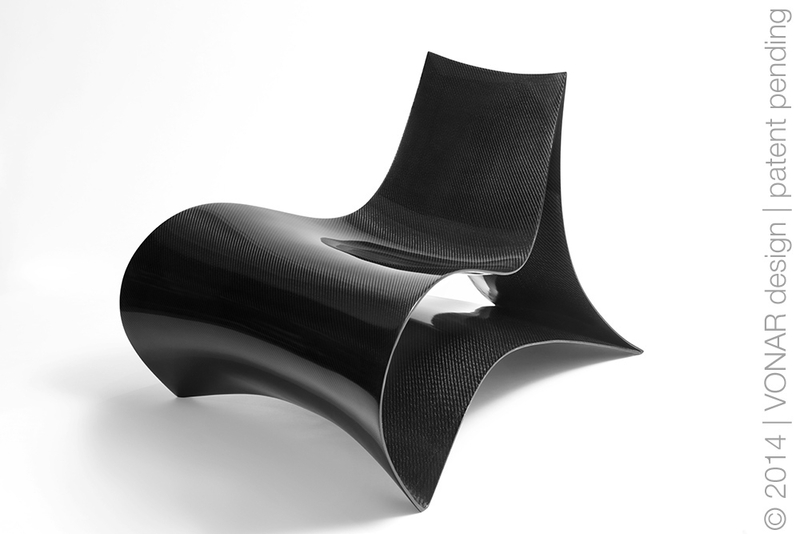 In addition to the natural strength of Carbon fiber, its flowing surface forms a double curve that provides added strength and comfortable sitting area. Consequently this chair is very thin, light and strong ( 3/16 inch thin, weight 17 lb ). 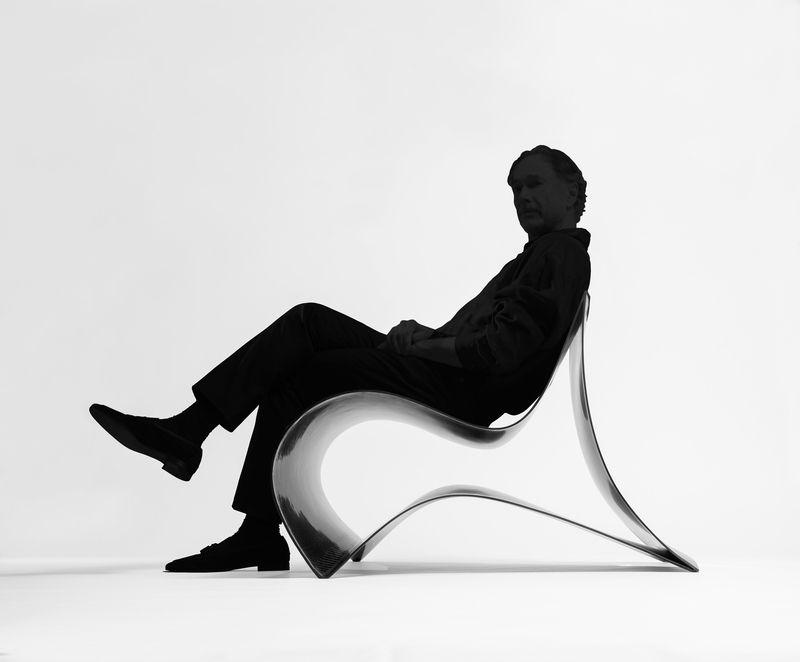 The chair is constructed of five layers with a solid Carbon edge for lateral stability. Its weight is transferred to the floor on four points of 1/2 inch diameter. The vowen pattern of Carbon fiber is visible due to the clear glossy finish that contains UV protection. The chair is designed primarily for the interior use. The ONA chair is the first piece in the Carbon fiber collection by VONAR, intended for residential, hospitality and office use.